Are you looking for a new nose? 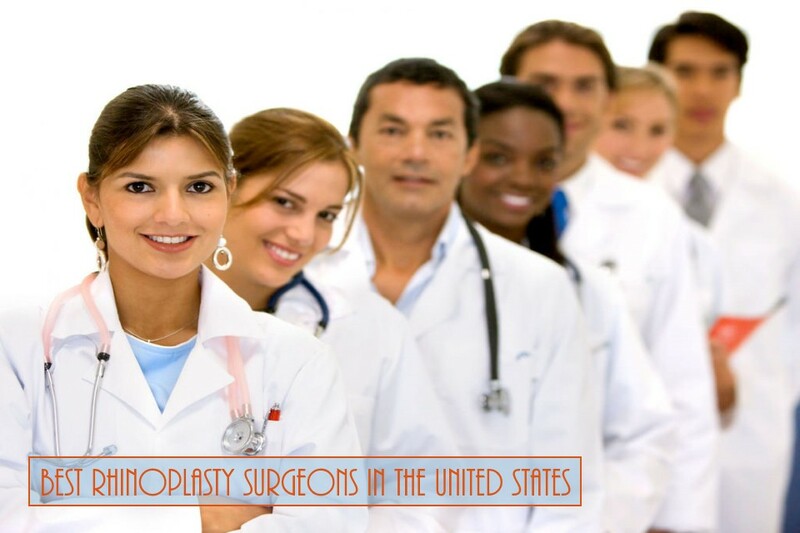 Here's our growing list of the best Rhinoplasty Surgeons in the United States for your nasal procedure. Click your preferred State to be taken to that section of the article. Dr. Armen Vartany is a plastic surgeon who has been performing a vast array of face and body surgical procedures since 1997. Although he has extensive experience and specializes in all of the various procedures that he performs, he is best known for being a Rhinoplasty expert. Dr. Vartany is double Board Certified by the prestigious American Board of Plastic Surgery and The American Board of Surgery. He is a Fellow of the American College of Surgeons and a member of The American Society of Plastic Surgeons. Dr. Vartany grew up in Boston, Massachusetts. He attended High School in Exeter, New Hampshire and completed his Undergraduate and Medical education at Tufts University in Boston. After obtaining his Medical Degree in 1989, he spent five years training in General Surgery at Harbor-UCLA Medical Center in Torrance, CA and then pursued training in Plastic and Reconstructive Surgery at University of California, Irvine Medical Center. Dr. Vartany also spent an additional year training in Hand and Microvascular Surgery at University of California, San Francisco. This incredibly delicate work only enhanced the remarkable detail of Dr. Vartany’s plastic surgery skills. Dr. Vartany has authored numerous scientific papers and regularly attends Plastic Surgery Symposia in order to offer the latest techniques in Plastic Surgery. Dr. Heather Furnas is an accomplished Santa Rosa plastic surgeon who obtained both undergraduate and graduate degrees from Stanford University. She then completed her medical degree at UCLA School of Medicine before returning to Stanford for a 6-year plastic surgery residency. In 1990, Dr. Furnas was appointed to the plastic surgery faculty at Harvard Medical School. While in Boston, she also established a private practice at the Beth Israel Hospital. Shortly thereafter, she relocated to California and co-founded Plastic Surgery Associates with her husband, Dr. Francisco Canales. Since that time, she has earned a reputation as a skilled and caring plastic surgeon in the local community. In addition to her practice, Dr. Furnas has also served as the President of the Sonoma County Medical Association, as a delegate to the California Medical Association, and as a member of the editorial board for Sonoma County’s Physician Magazine. She is board certified by the American Board of Plastic Surgery and is a member of the American Society of Plastic Surgeons, the California Society of Plastic Surgeons, and the prestigious American Society for Aesthetic Plastic Surgery. A true artist at heart, Dr. Furnas has a passion for theatre, ballet, and music. She is also an artist herself and much of her work can be found on display at the practice. When not practicing her surgical technique, Dr. Furnas enjoys spending time with her husband and their two children, Diego and Siena. 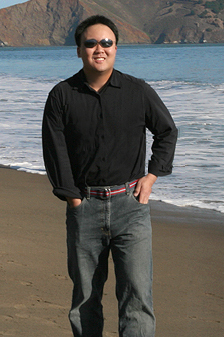 Dr. Roy Kim is a Diplomate of the American Board of Plastic Surgery. Dr. Kim is a member of the American Society of Plastic Surgeons, The American Society for Aesthetic Plastic Surgery, and the California Society of Plastic Surgeons. His pursuit of technical excellence has earned him the respect of colleagues and applause from his patients. Dr. Kim holds an undergraduate degree from Georgetown University, an MD from the University of Pittsburgh and has performed general surgery residency at University of Chicago Medical School as well as a Plastic Surgery residency at Wayne State University before moving to San Francisco. "A major reason I went into plastic surgery is to help people. I’ve found out that people generally have problems, and don’t really have a specific medical or surgical problem that they can blurt out and tell me what to do. I enjoy the aesthetic and artistic aspects of plastic surgery, as well as the reconstructive side of plastic surgery. I love the fact that I can operate on young and old, men and women, and on various parts of the body. I still get excited about thinking of a new technique to enhance surgical results, or learning about a new process to get a better result for my patients." "I do some medical mission work as well, not for the PR aspects, but because I am privileged to be able to help others. It still amazes me that a short 1-2 hour operation can help another person look and feel better, therefore achieving more in life." "I have gone to Guatemala several times, and I have operated on patients from Rwanda as well. It’s a lot of fun to help cleft lip and palate patients, burn patients, and do reconstructive surgery for people who would have delayed or no surgery due to their living situation. I’m also a member of Operation Access, a way for local San Franciscans to get free health care." Dr. Martin Stepanyan is a Board Certified surgeon with over 15 years of excellent education, extensive training and over 16 years of successful practice in the field of Facial Cosmetic & Reconstructive Surgery and Oral & Maxillofacial Surgery. Dr. Stepanyan received his doctoral degree from University of Pennsylvania, graduating at the top of his class. He completed Residency training in Oral and Maxillofacial Surgery followed by Fellowship training in Facial Cosmetic Surgery. Dr. Stepanyan started his private practice in 2001 in Pasadena, California. He served as an Assistant Professor at Charles R. Drew University Medical School, and as a Division Chair at Huntington Memorial Medical Center in Pasadena and Methodist Hospital in Arcadia. In 2008, Dr. Stepanyan relocated his practice to Glendale, California and established Stepanyan Surgical Arts Center. Dr. Stepanyan is a Diplomate of the American Board of Oral and Maxillofacial Surgery. He is a member and a fellow of numerous organizations including American and California Academies of Cosmetic Surgery, American and California Associations of Oral and Maxillofacial Surgeons and American College of Oral and Maxillofacial Surgeons. Dr. Stepanyan has lectured extensively, locally and internationally, in the field of Facial Cosmetic & Reconstructive Surgery. He is a recipient of numerous awards, including 2007, 2011, and 2016 Americas Top Plastic Surgeons Award by Consumers Research Council of America. Dr. Stepanyan’s charity work involves several trips to Ecuador, Russia and Armenia where he performed complex reconstructive surgeries on children and adults with cleft lip and palate and other cranio-facial deformities. As an American Academy of Cosmetic Surgery Fellowship graduate and American Board of Oral & Maxillofacial Surgery Diplomate, with his extensive training and expertise, Dr. Stepanyan will help you achieve your cosmetic and functional goals in a caring, private and professional environment. Dr. Jacob Steiger is an accomplished, double board certified facial plastic surgeon whose background and credentials reflect his commitment to the highest standards of patient care, treatment innovation, and leadership within his specialty. A native of Miami, Florida, Dr. Steiger graduated from the University of Miami Honors Program in Medical Education. Graduating at the top of his medical school class with research distinction, Dr. Steiger was awarded the prestigious Clinical Skills Award for his dedication to patient care. A Voluntary Assistant Professor at the University of Miami Department of Otolaryngology / Division of Facial Plastic Surgery and a Fellow of the American College of Surgeons (FACS), Dr. Jeffrey Epstein has over 22 years specializing in primary and revision rhinoplasty surgery. As a fellowship trained, triple-board certified facial plastic surgeon, Dr. Epstein performs on average four to five rhinoplasty surgeries weekly, approximately half of which are revisions. This experience provides him with a unique perspective on the nose, understanding not only what makes it look good, but also how to preserve its structure and support to assure clear breathing passages and long lasting cosmetic results. His extensive training, innate aesthetic skills, and passion for perfection are combined with the most advanced surgical methods, enabling him to create noses that are both in harmony with the rest of the face and natural-looking. As you can see from his many before and after photos, Dr. Epstein’s goal is ultimately to make his patients happy. Dr. Epstein is a graduate of Swarthmore College and received his medical training at the University of Vermont College of Medicine. He continued his training in Otolaryngology/Head and Neck Surgery (Ear, Nose and Throat) at the University of Miami. 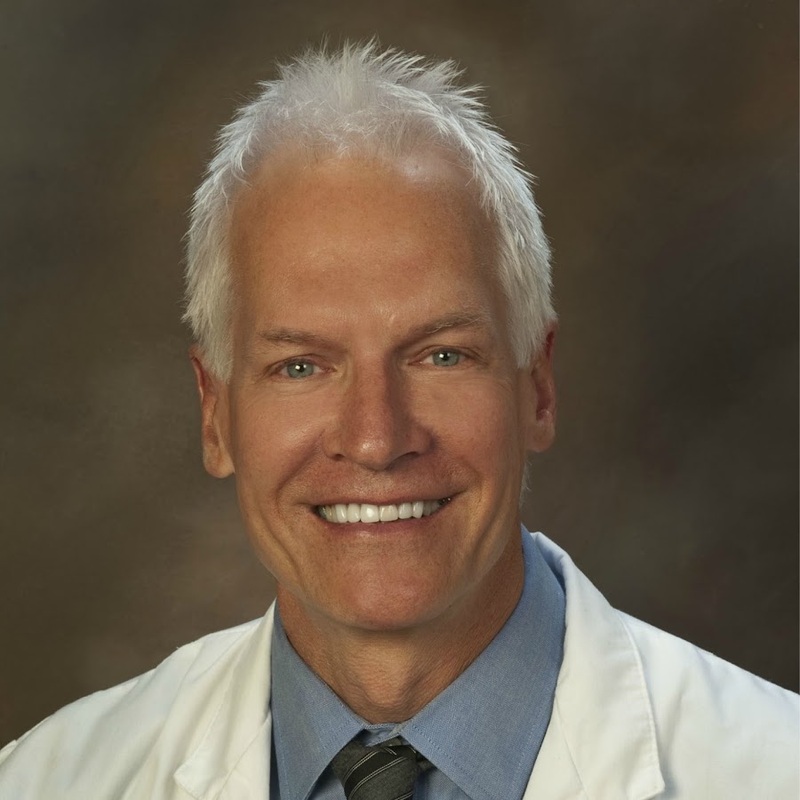 Upon completing his residency in 1993, he was awarded a Fellowship by the American Academy of Facial Plastic and Reconstructive Surgery studying under Sheldon Kabaker, MD, a recognized leader and authority in facial cosmetic surgery and in particular rhinoplasty. Upon completion of this training in the San Francisco area, he received the Jack Anderson Memorial Award by the American Board of Facial Plastic and Reconstructive Surgery for attaining the highest score in the nation on his board exams. The means and skills to change an individual’s appearance impart an incredibly important responsibility. Dr. Epstein’s approach is to provide the most natural appearance, assuring the patient’s features are in harmony with the rest of the face and body. Dr. Andres Bustillo, MD FACS is a board certified fellowship trained facial plastic and reconstructive surgeon, making him one of the few sub specialists in the South Florida area. He graduated at the top of his class from Boston University with a Bachelor of Arts in Biology. He then went on to receive his MD from the University of Miami. Dr. Bustillo completed a five-year residency in Otolaryngology – Head and Neck Surgery at the University of Miami – Jackson Memorial Hospital, one of the nation’s top otolaryngology residency programs. He then went on to complete an advanced fellowship in facial plastic and reconstructive surgery at the combined New York University-Weill Cornell Medical College Fellowship Program. This is one of the most sought-out fellowship programs in the world. There he trained with Manhattan’s best plastic surgeons. Facial Plastic Surgeon Dr. Sam S. Rizk merges two unique skills to achieve his surgical outcomes - first and foremost is his artistic background as a sculptor, which combines with his technical skill as a facial plastic and reconstructive surgeon. As a recognized expert on the latest advances in facial plastic surgery techniques, Dr. Rizk has written and lectured extensively on current concepts related to rhinoplasty and other facial plastic procedures. Dr. Rizk is a double board certified New York facial plastic surgeon and director of Manhattan Facial Plastic Surgery, PLLC. 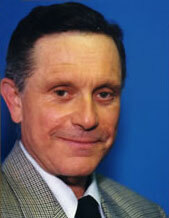 Dr. Rizk was one of first to do the combined endonasal rhinoplasty and sinus/septal surgery procedures (article published in annals of plastic surgery), the pioneer of the 3 dimentional-virtual rhinoplasty surgery, which has dramatically increased precision and decreased recovery for rhinoplasty surgery. He is also known for his revision rhinoplasty surgery where he restores and corrects collapses, saddle noses, asymmetric noses, drooping tips, and hanging columellas and also improves the patient's breathing ability. Dr. Rizk uses tissue glue instead of conventional packing after rhinoplasty. He feels packing creates more swelling, is painful, and distorts the appearance of the nose. Dr. Salas is a board certified plastic surgeon, with an international reputation. He was named one of America's top plastic surgeons by the Consumers Research Council of America and was listed in Vogue Magazine as one of the “Top Choices in the Tri-States”. He has earned the rare distinction of triple board certification by the American Board of Plastic Surgery, the American Board of surgery, and the American Board of Mesoplasty. Dr. Salas is a graduate of New York Medical College and completed his plastic surgery training under the guidance of Dr. Ian Jackson, one of the fathers of plastic surgery. Aside from his added training in cosmetic plastic surgery, he is also trained in general surgery, surgical oncology, microvascular surgery, and hand surgery. This unique background has provided him with the breadth of knowledge and experience to treat even the most complex conditions. 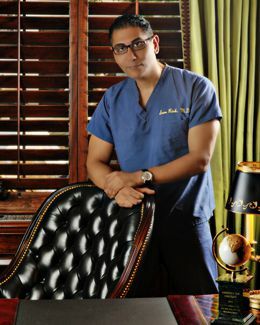 Dr. Salas is an internationally recognized educator, author, and lecturer in advanced techniques in cosmetic procedures. His cosmetic surgery training and experience have focused on minimally invasive (endoscopic), "scarless" plastic surgery which has resulted in the ability to minimize the incisions and avoid much of the scars that are associated with many surgical procedures. The conveniently located offices in Manhattan, New York and West Orange, New Jersey offer the latest non-surgical modalities, including many lunch time procedures. In addition, surgical procedures of the face, breast, and body are safely performed at Lenox Hill Hospital in Manhattan; Morristown Memorial Hospital, and St. Barnabas Hospital in New Jersey. Dr. Rod J. Rohrich, M.D., F.A.C.S. is an internationally known surgeon, innovative leader and educator in Plastic Surgery. 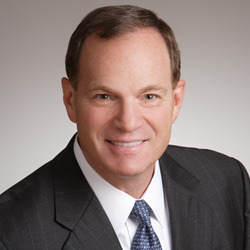 He is Professor and founding Chairman of the Department of Plastic Surgery at The University of Texas Southwestern Medical Center at Dallas, held the Crystal Charity Ball Distinguished Chair in Plastic Surgery from 1993 to 2014, the Betty and Warren Woodward Chair in Plastic and Reconstructive Surgery from 1999-2014 and is the recipient of the Rod J. Rohrich, M.D. Distinguished Professorship in Wound Healing and Plastic Surgery (bestowed by a grateful patient). Dr. Rohrich is Board Certified by the American Board of Plastic Surgery and has a clinical practice at University Hospitals/UT Southwestern Medical Center and the Dallas Plastic Surgery Institute. Houston cosmetic surgeon, Robert J. Capriotti, has over 25 years experience in cosmetic surgery and was one of the first surgeons in this country to use lasers in cosmetic surgery. As a top cosmetic surgeon in Houston he has addressed medical groups across the country and throughout Europe on the use of lasers in cosmetic surgery. He has also written informative articles on laser cosmetic surgery, including the chapter on laser face lifts for the clinics of Facial Plastic Surgery which was published in November, 1993. Dr. Capriotti is also renowned for developing a nasal implant for Asian rhinoplasty that is used around the world. Dr. Capriotti operates a state-of-the-art surgery center that contains two operating rooms which are comparable to those found in hospitals. The center is equipped for general anesthesia and also for more extensive and complicated procedures. Because all procedures are performed in his own facilities, Dr. Capriotti can save patients thousands of dollars compared to hospitals or even out-patient surgery centers. Dr. Jennifer L. Walden is a Board Certified Plastic Surgeon by the American Board of Plastic Surgery and is formally fellowship-trained in Cosmetic Surgery. She relocated her busy cosmetic surgery practice from New York City to Austin, Texas so that her twin boys, Houston and Rex, can be raised near their family. Dr. Walden is an active member of the prestigious American Society for Aesthetic Plastic Surgery; she is also a member of the American Society of Plastic Surgeons and is a Fellow of the American College of Surgeons. Dr. Walden currently serves on the Board of Directors for the American Society for Aesthetic Plastic Surgery (ASAPS) and is the Commissioner of Communications for ASAPS as well. In the position as Commissioner, she oversees the communications for this globally authoritative professional organization. She also holds the distinction of serving as a media spokesperson for the American Society for Aesthetic Plastic Surgery as well as the American Society of Plastic Surgeons. Since 2014, she has been recognized as one of Texas Super Doctors, as seen in Texas Monthly. In 2016, Dr. Walden was honored to be selected for membership into the American Association of Plastic Surgeons, an invitation-only academic society known as “the highest medium of recognition in the field of plastic surgery as evidenced by the contribution of its individual members”. While in New York, Dr. Walden was an Attending in Plastic Surgery at Manhattan Eye, Ear and Throat and Lenox Hill Hospitals with the academic appointment of Clinical Instructor of Surgery (Plastic Surgery) at New York University Langone Medical Center. She now owns her own business of Walden Cosmetic Surgery Center, and operates in her own fully accredited office operating suite at Westlake Medical Center, where she and her team are dedicated to maintaining the highest standards of patient safety. As a world renowned plastic surgeon practicing in Houston, Dr. Schusterman established his reputation through his research and development of microsurgical reconstruction techniques in the aid of head, neck and breast cancer patients. The associated challenges have endowed him with considerable knowledge and understanding of the human body and have finely honed his surgical skills, particularly when it comes to plastic and cosmetic surgery. Working with people in crisis, such as cancer patients, takes special people skills – empathy, compassion and caring. The spirit and emotions of the patient need as much attention as the body for the healing to be a complete success. Dr. Schusterman has learned those skills and applies them to his plastic and cosmetic surgery patients today. A graduate of Emory University and the University of Louisville School of Medicine, Dr. Schusterman is in private practice in Houston, Texas, where his office is located in the heart of the Texas Medical Center. Dr. Sam Naficy is a highly specialized, fellowship-trained, and double board certified facial plastic surgeon. He has over 12 years of experience with modern techniques of cosmetic plastic surgery, including eyelid and facial rejuvenation, rhinoplasty, and laser surgery. He performs close to 1,000 facial plastic surgery procedures per year. Dr. Naficy's practice has been 100% devoted to rhinoplasty and facial plastic surgery for the past 18 years. This is why Seattle doctors and patients have voted Dr. Naficy one of the top plastic surgeons for the face. Dr. Naficy believes that the goal of rhinoplasty should be a nose that looks attractive and natural, and is in harmony with the rest of the face without having an "operated-on" look. A native of Seattle, Dr. Naficy graduated #1 in his medical school class at the University of Washington and was the recipient of the 'Highest Honors in Medicine' award from the Dean. He completed advanced training in general surgery and otolaryngology-head and neck surgery at the internationally renowned University of Michigan Medical Center. Dr. Naficy is double board certified by the American Board of Facial Plastic and Reconstructive Surgery and the American Board of Otolaryngology-Head and Neck Surgery. This is the only ABMS board that certifies surgeons exclusively for plastic surgery of the face. Dr. Naficy holds surgical privileges at his privately-owned Medicare-certified ambulatory surgery center located adjacent to his practice. He is a Fellow of the American College of Surgeons, an active member of the American Academy of Facial Plastic and Reconstructive Surgery, and the Washington State Facial Plastic Surgery Society. Dr. Marshall T. Partington devotes his practice to enhancing the lives of his patients. He finds great joy in helping his Seattle, Kirkland and Bellevue patients’ look and feel their very best at any age. Dr. Partington views each person and their story as a new journey with a very specific and unique objective. The happiness and gratitude of our patients is his greatest reward of all. Dr Partington attended Williams College and graduated with honors before he received his medical degree from Cornell University Medical College where he was president of his class. He completed a vigorous 7 year general surgery program at UCLA. During that time he also served as a research fellow for the Department of Cardiothoracic Surgery at UCLA Medical Center where he published extensively. He then trained in plastic surgery at New York University under the renowned Dr. Joseph McCarthy. He completed his surgical training in both microsurgery and hand surgical fellowship in San Francisco under the late Dr Harry Buncke, who is regarded as the Father of Microsurgery. It was here that he and his wife were blessed with a twin boy and girl. He served as Director of Microsurgery at the University of Pennsylvania Medical Center for 5 years. Subsequently he was Chief of Plastic Surgery at the Everett Clinic in Washington before starting his private practice on the Eastside in 1998. Dr. Thomas Lamperti, MD, a Top Doctor Award winning Rhinoplasty Surgeon, is considered to be one of the best Seattle facial plastic surgeons. Known for his beautiful, natural results and with patients travelling from as far away as Europe, the Middle East, Canada, Asia and Australia Dr. Lamperti counts models, actors, television personalities and other social elite among his clientele. Thanks to these outstanding results, Dr. Lamperti is rated very highly by his patients and they often recommend him to friends and family. After graduating at the top of his class with degrees in Biology and Criminal Justice from La Salle University in Philadelphia, Pennsylvania, he began his medical training at Columbia University College of Physicians and Surgeons where he concurrently received both M.D. and Master of Public Health degrees. Dr. Lamperti completed a surgery internship at Virginia Mason Medical Center in Seattle, Washington. Following this he completed a top-ranked residency in Otolaryngology-Head & Neck Surgery at the University of Iowa Hospitals and Clinics in Iowa City, Iowa. Established in 2010, the award winning cosmetic surgery practice of Dr. David A. Shifrin, provides the complete experience by combining excellent surgical results with personalized care. A native of Northbrook, Illinois, Dr. David Shifrin is a Board Certified Plastic Surgeon, respected for his work with cosmetic surgery. Dr. Shifrin returned to his home town of Chicago in 2010 after years of training in the Midwest and South. Dr Shifrin is a Fellow of the American College of Surgeons, a member of the American Society of Plastic Surgeons and the American Academy of Facial Plastic and Reconstructive Surgeons and the highly selective American Society of Aesthetic Plastic Surgeons. 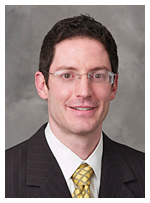 His academic accomplishments, which include multiple peer reviewed journal article publications and national conference presentations, and his love of teaching and mentoring led him to seek out an academic appointment with the University of Illinois at Chicago division of plastic surgery as an assistant clinical professor. 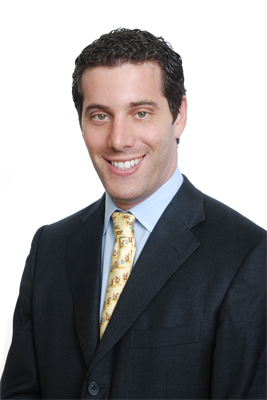 Dr. David Shifrin specializes in cosmetic surgery of the face, breast and body. He is a plastic surgeon who completed a highly sought-after integrated training program in Michigan, followed by two advanced fellowships. The first, at the Medical College of Wisconsin, concentrated on reconstructive microsurgery. The second fellowship focused on Aesthetic surgery under the mentorship of Dr. Joseph Hunstad, a world renowned plastic surgeon in the area of breast augmentation and body contouring. His patients frequently comment on his calm and caring bedside manner. He is devoted to providing the best possible experience to those he cares for. Dr. Shifrin has been awarded Top Plastic Surgeon Chicago region 2012 and 2013 by Health Tap, Patient’s Choice Award and Most Compassionate Doctor Award in 2012, 2013 and 2014 by American Registry. Dr. Schierle completed his training in plastic surgery in Chicago, IL, at the prestigious seven year Integrated Plastic Surgery Residency program at Northwestern University in Chicago, Illinois, where he received extensive training in cosmetic and reconstructive surgery of the face, breast and body. He has trained and worked extensively with surgeons from Northwestern Memorial Hospital, Children’s Memorial Hospital, NorthShore University HealthSystem including Evanston, Glenbrook and Highland Park Hospitals, Chicago’s Shriners Hospital, and the Chicago Center for the Surgery of the Hand. Dr. Clark has been asked to present at national and international meetings such as the American Society of Plastic Surgeons, the American Society for Aesthetic Plastic Surgery, the American Society for Reconstructive Microsurgery, the Chinese Society of Plastic Surgeons, and the Association of Organ Procurement Organizations. He has lectured on topics as diverse as three-dimensional imaging for plastic surgery, endoscopic breast augmentation, wound healing, scarring, lower extremity reconstruction, cosmetic breast surgery, non-surgical treatments for aging, and face transplantation. 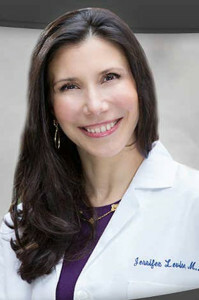 Dr. Schierle has authored numerous articles in peer-reviewed journals, including Plastic & Reconstructive Surgery, Journal of Reconstructive Microsurgery, Journal of Trauma, Wound Repair & Regeneration and the Aesthetic Surgery Journal, as well as book chapters for authoritative texts on cosmetic and reconstructive procedures such as Practical Plastic Surgery, Cosmetic Bootcamp Primer, and Plastic and Reconstructive Surgery Board Review.